It can be very frustrating having your SSDI or SSI claim denied. You are desperately needing help and feel that you have done everything required to receive the help, but the Social Security Administration (SSA) sends you a letter saying they have determined that you are not eligible. After the feelings of frustration and anger comes the questions of why. 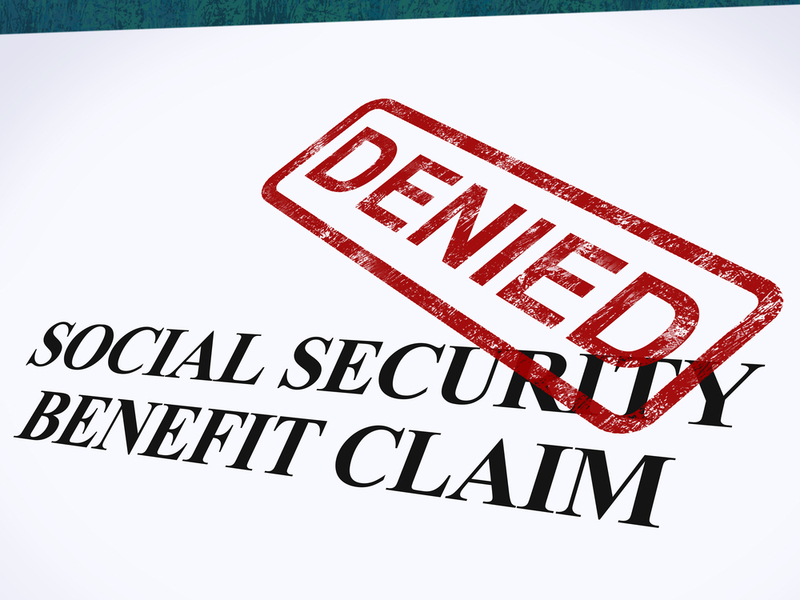 Why was your social security claim denied? Why did the SSA think that the health problem(s) you have are not deemed severe enough or debilitating enough to receive assistance? Why Was Your SSDI or SSI Claim Denied? The reason for denial varies from one claimant to another, but one of the most common reasons stated by the SSA is that of lacking medical evidence. Accurate and adequate medical records are the key component to every SSDI or SSI claim. The records should let the SSA know what illness or injury you claim is affecting your life, how long it has been doing so, how it impacts your ability to work, and the prospective effect it will continue to have on your work capabilities. Oftentimes claimants assume that the SSA will obtain the necessary documents from the list they provide of the physicians and facilities they have seen concerning their illness or injury. However, the SSA may only make a limited attempt to gather the needed documents. It is best if the claimant gathers all the needed medical records and submits them with their application. This can be a daunting task, especially if you have had prolonged medical issues. Sifting through all of your medical records and trying to determine what should or should not be sent to the SSA can be frustrating. Another frustration that may occur is if you see that you do have a lack of medical records due to either improper documentation by your physician or your inability to have obtained treatment. Whatever your situation you should not let the frustration with medical records keep you from getting the help you need. The Social Security Disability attorneys at Brock & Stout have years of experience and can help you understand what records you need, help you obtain them and assist you in getting the help you need. If you are thinking about filing or have been denied an SSDI or SSI claim, contact us today for a free evaluation to see if we can help you.